“Quartz Variety: Ametrine,” Anahí Mine, Santa Cruz Dept., Bolivia. 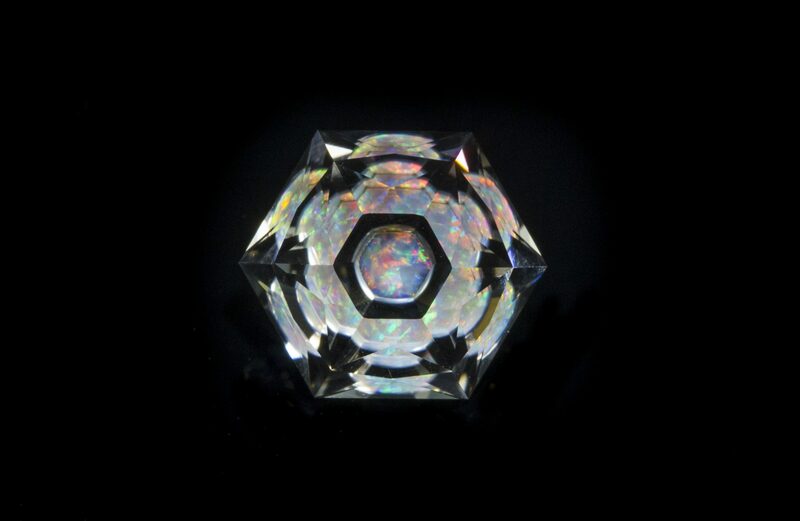 22.9 x 14.8 mm, 24.64 cts. © Rob Lavinsky, www.iRocks.com. Used with permission. Amethyst is a purple quartz. Citrine is a yellow quartz. Quartz that displays bands of both purple and yellow is known as ametrine. Gem-quality ametrine is sourced from only a single site in Bolivia. Emerald cuts and fantasy carvings are popular ways to showcase the dramatic color zoning in this very durable gemstone. 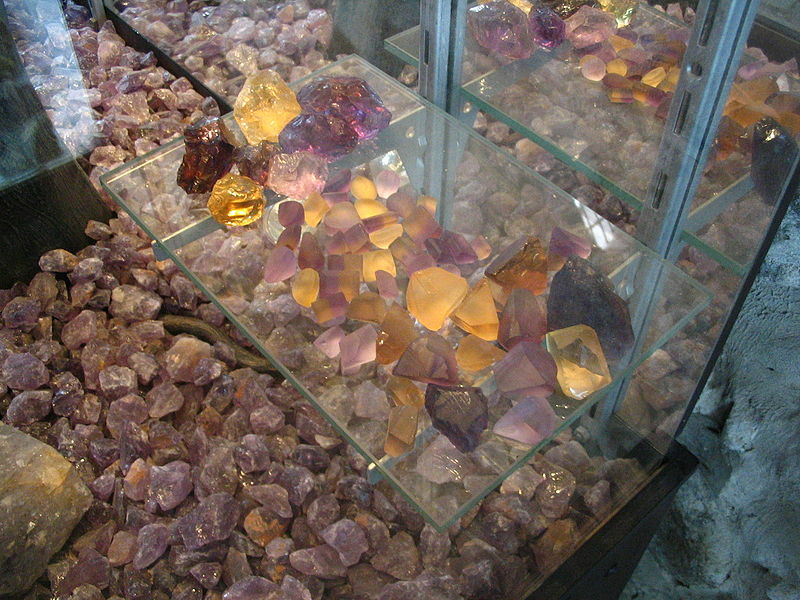 Colors Amethyst-color zone can range from purple to violet-purple; citrine-color zone can range from yellow to orange. 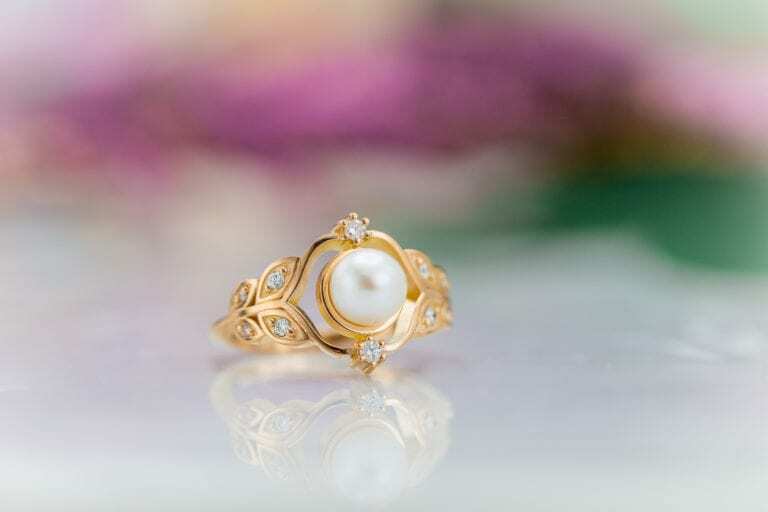 Gems can be cut to show a rosy gold, mauve, and champagne or peach color. Luminescence Inert to weak fluorescent colors, blueish or greenish (LW, SW). Amethyst-color sections may show pleochroism like amethysts, weak to moderate purple/reddish purple. 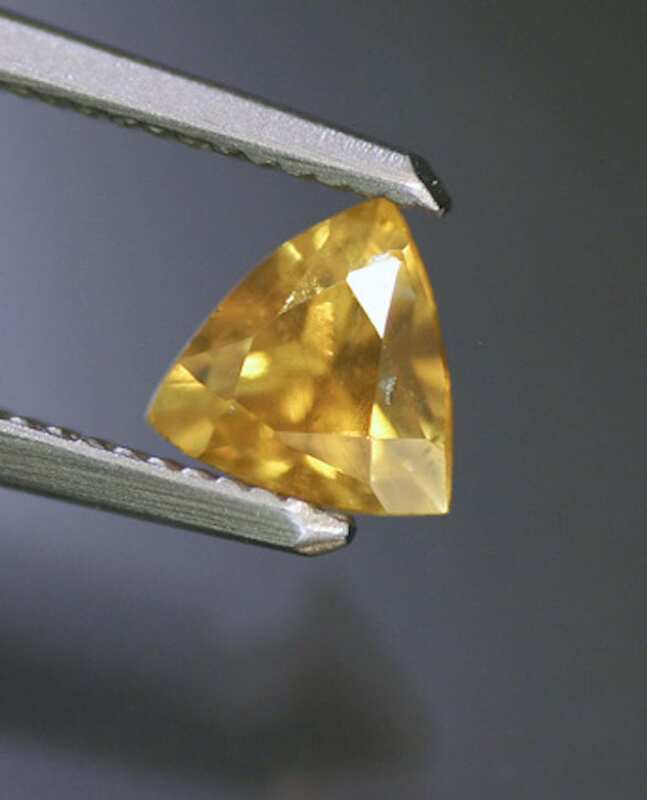 Citrine-color sections may show pleochroism like citrines, very weak yellow/orange shades. A combination of the names amethyst and citrine. “Ametrine Block,” (bolivianite). Photo taken at la Casa Nacional de Moneda (National Mint), Potosí, Bolivia, by Anakin~commonswiki. Licensed under CC By-SA 3.0. Ametrine’s abrupt color transition reflects slight fluctuations in temperature and pressure during its formation. Depending on these factors, iron impurities could lead to the formation of amethyst or citrine zones within a quartz stone. 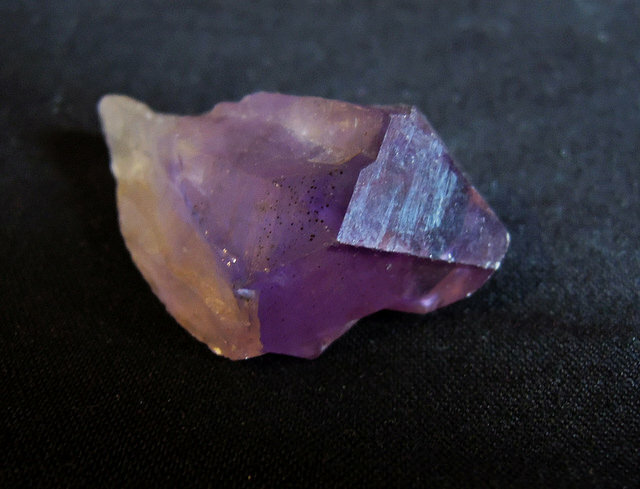 (Today, heat treating amethyst gems actually produces a great deal of citrine, artificially. So, you can easily imagine how natural heating and/or cooling can produce the bi-colored quartz). Like most quartz gems, ametrine occurs in fairly large, clean pieces. Thus, the price per carat doesn’t increase with larger size stones. Ametrine prices are rather modest. As far as the material itself, the depth and vividness of colors and the distinction of the color separation are the main value points. 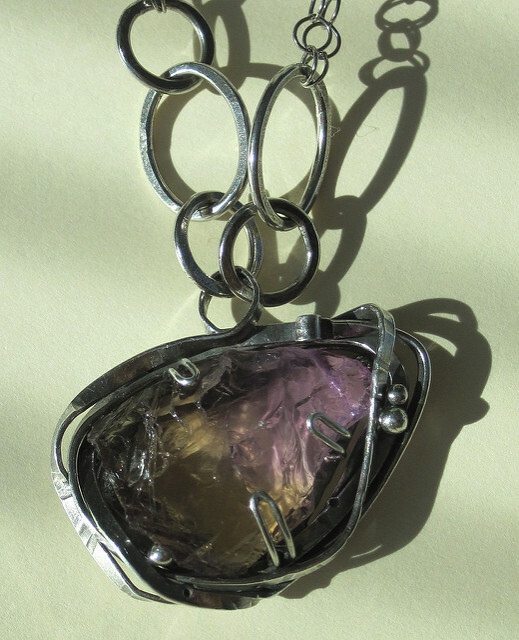 The artistry of the cutting or carving adds most of the value to many ametrine pieces. You’ll find a world of difference between a commercial grade or native cut and a fine custom stone, even when cut from the same rough material. Heart-shaped and carved ametrines. Photos courtesy of Barbara Smigel, Artistic Colored Stones. 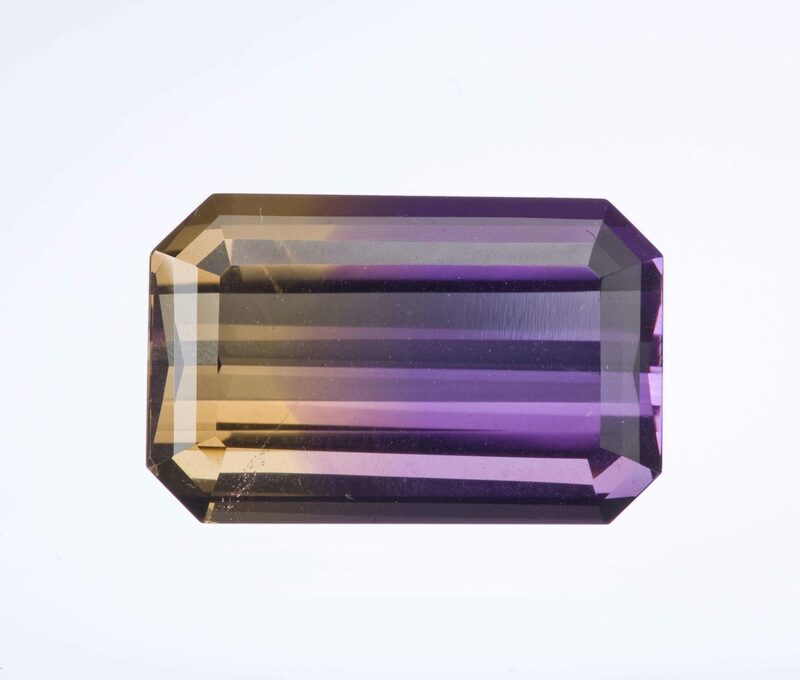 Faceters, cabbers, and carvers all favor ametrine because of its clarity and good size. 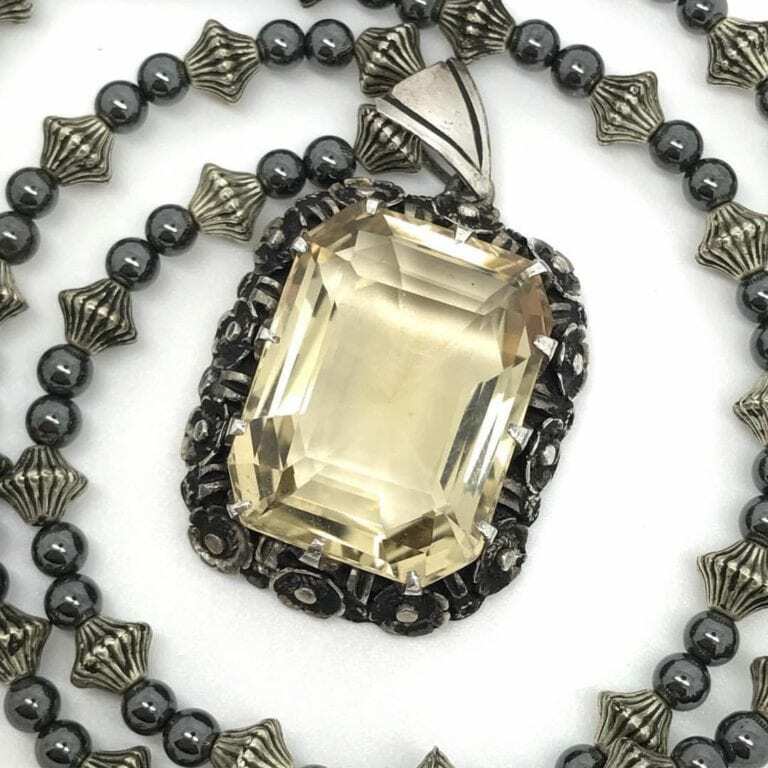 When this material entered the market in significant quantities in the 1970s, gem cutters preferred emerald cut shapes with a 50/50 color split. Many still cut rough in this manner. Recently, some cutters have begun to experiment with a variety of shapes. Many of these designs create internal reflections that blend the yellow and purple into attractive shapes of rosy gold, mauve, and champagne. Other designs produce mosaic-like flashes of both yellow and purple. 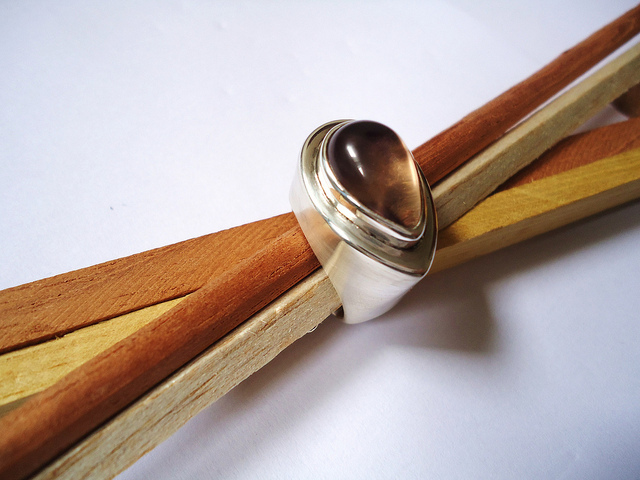 “Ametrine and Silver Ring” by Mauro Cateb. Licensed under CC By 2.0. Both heat enhanced natural quartz and synthetic ametrine are available on the market. 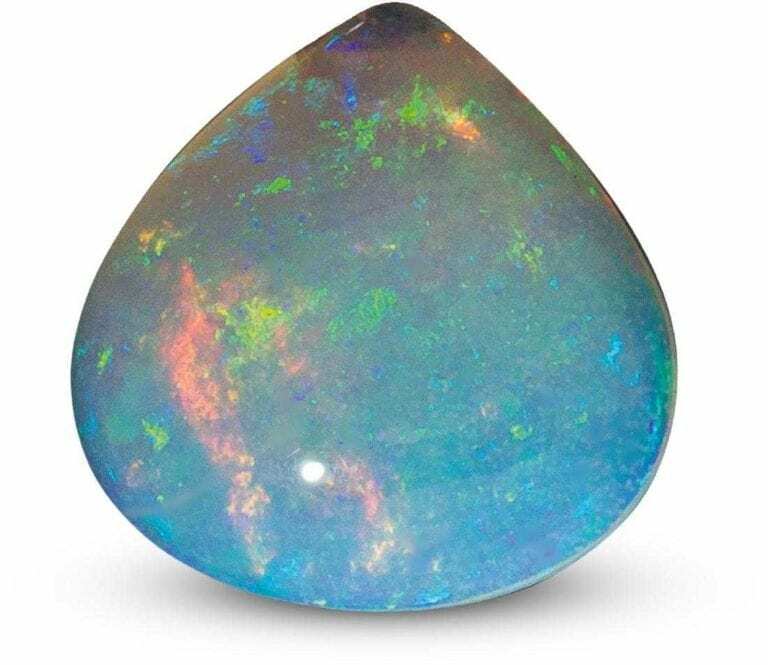 Optically and physically, these materials match their natural counterparts, so gemological testing is necessary to distinguish them. 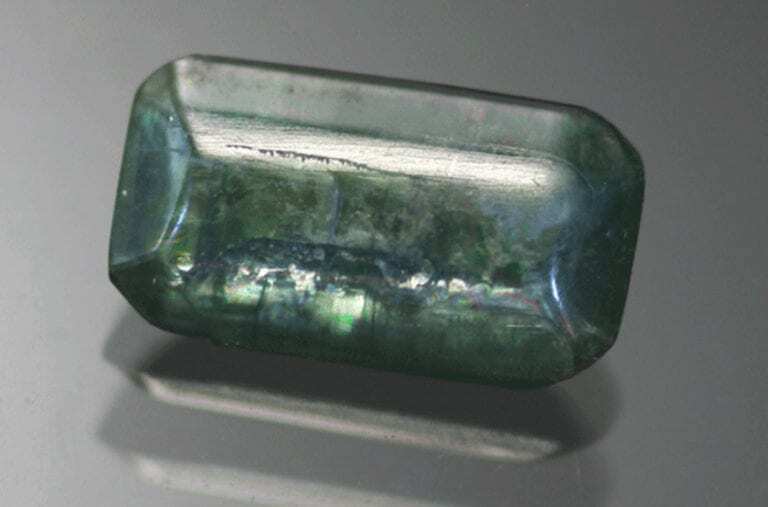 Detecting twinning in natural quartz stones like ametrines used to be a sign of natural origin. However, synthetic quartz can now duplicate twinning. Although ametrine was first reported from Rio Grande do Sul, Brazil, the Anahí Mine in Bolivia currently produces all the known, gem-quality material. The native peoples of the region have long valued this stone. However, the mine was seemingly lost to commercial interests after the 17th century and not rediscovered until the 1960s. Non-commercial deposits have also been found in the United States, Canada, India, and Mozambique. “Ametrine” by Elderberry Arts. Licensed under CC By-SA 2.0. Vendors sometimes refer to ametrines as amethyst-citrine or citrine-amethyst. Other names include trystine, bolivianite, and golden amethyst. Quartz gems make excellent jewelry stones, due to their relatively high hardness of 7 and lack of cleavage. 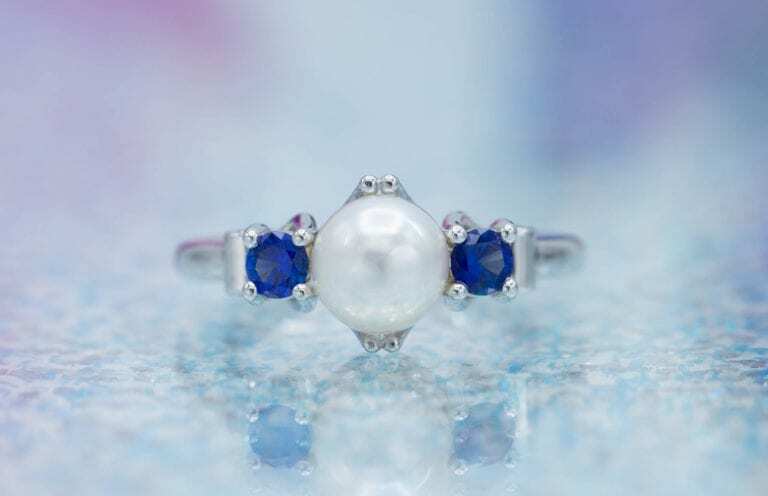 However, if worn daily, ring wear will eventually dull the polish. Ametrines require no special care, since they’re not sensitive to temperature changes or household chemicals. “A custom necklace made with a rough ametrine stone” by Brooke Scarborough. Licensed under CC By 2.0.